Yesterday, in my acceptance of the Liebster Award, I answered a question about which famous celebrity I would like to meet. I didn't mention Harper Lee, but she certainly was a person I considered naming. In her book To Kill a Mockingbird, Harper Lee addressed many issues of society which we still wrestle with today. I think she would be a fabulous person to speak with and that one could learn a lot from her ... about kindness, social justice and how to write an amazing book! Post by A Mighty Girl. The Liebster Award is passed on by a previous recipient to bloggers with less than 500 followers. The purpose of the award it to recognize up and coming blogs, and to give them a little boost in followers and blogging confidence. I have done a little research, and it appears the Liebster Award has been passed from one blogger to another, much like a chain letter, since at least 2010. There are no judges or actual award, yet it is an honor to have one's own blog nominated, and to be able to recognize other young blogs by passing it along. 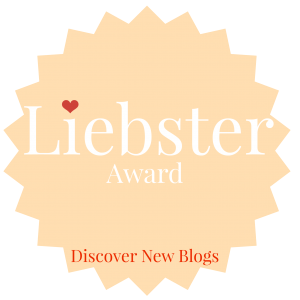 Be sure to leave a comment on each of the new blogs you have selected, informing them of the award - with a link to your Liebster post with the above information. I HAVE BEEN NOMINATED TO RECEIVE THE AWARD! Tremendous encouragement and support from other bloggers has been a wonderful surprise benefit of blogging. I have already begun to enjoy some new friendships. Last weekend I received the honor of being nominated for the Liebster Award by Lana, at Two Teens and Their Mama. Thank you SO much Lana - it is truly a privilege, and I am thrilled that you think my blog is worthy of the award! I am very pleased to accept it, and pass it on to others! 2. I once nursed a very sick goldfish back to health, because my children loved it so much. 3. When I got married, I wore my mother's wedding dress, with alterations sewn by my mother-in-law. 4. I have a difficult time with facial recognition, and may not recognize someone I know or think I know someone I have never met! This can be embarrassing! 5. 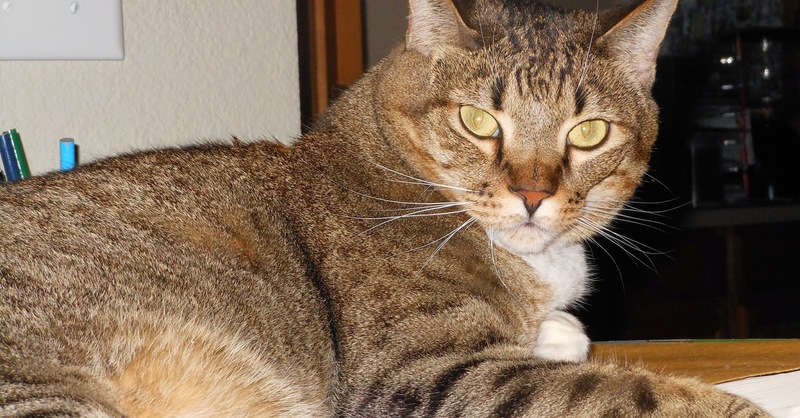 If I had a choice to live life as something besides a human, I would be a house cat! 6. I read all of the Harry Potter books aloud to my kids, and I pronounced Hermione wrong the entire time! 7. I dislike driving in bad weather, in cities, or on crowded highways! 9. A broken leg turned out to be one of the best things that ever happened to me! 10. I think chocolate and peanut butter is one of the best combinations ever - especially if ice cream is involved! 11. Once I start writing, hours can go by and it is often 2 am before I get to bed! It was yellow until I realized wearing it was NOT complimentary of my complexion! Now, it is probably blue - the color of the Montana sky. 2.What would you wish for if you had a magic lamp. Happiness for family and friends - which would ensure that they were also then safe, healthy and wealthy enough to be happy! World peace, the end of world hunger,a stop to global warming, of course, and similar things to make the world a better place. An indoor soccer facility, and a new Natatorium (50 meter x 25 yard indoor competition pool and warm-up pool) for our community. To be able to continue writing and blogging, because it has been so much fun thus far! 3. What is your guiltiest pleasure. Ice cream is the first thing that popped into my mind! 4. What made you decide to blog? When I realized many freelance writers have blogs, and it appealed to me. I did not realize until I actually started blogging though, how much there would be to learn and what a fun, creative outlet it would be. 5. If you could have dinner with any celebrity who would it be? The King of Spain, Rey Juan Carlos. My family was living in Spain when Generalissimo Francisco Franco died. He had been a dictator in that country for almost 40 years. It was a time of great political uncertainty and there was great concern of a coup. I remember my school being abruptly closed for a bit, people being forbidden to gather anywhere in large groups, and being told it was better not to speak of Franco aloud. Fortunately, Juan Carlos, the appointed successor, was peacefully able to assumed leadership and led the transition to democracy. I have always wondered what that time was like for him. It would be interesting to hear a first hand account of his perspective, and gain a better understanding of what was actually happening in Spain at that time. 6. What was your best vacation? With "nomadic" parents, a spirit of wanderlust, and an adventurous spouse, I am fortunate to have had many adventures and good vacations. I can not pick one as better than the rest - but maybe the best vacation is always the one being looked forward to next! In my 20's I began collecting a Christmas tree ornament from each vacation or new country I visited. Even when an ornament has been unavailable to purchase, I have always found some small meaningful item to hang on the tree. 8. Disneyland or Disney World? I've enjoyed both, but I would have to say Disneyland. When I was 12 my family visited LA, and dear, dear family friends (our honorary aunt and uncle) who lived there got us "Keys to the Kingdom" for a day. They seemed to be a part of a magic, as her name was "Mickey" and "Uncle" Keith could carry on an entire conversation talking just like Donald Duck! In later years I realized just how special these two people really were, even if they were not officially a part of Disney! 9. What is the first thing you do in the morning? Since starting my blog, the first thing I do in the morning is turn off my phone alarm, then check it for new blog comments, emails, and Facebook posts! lol! Mother's day! I was SO excited the first year I knew I was going to be a mom - and I have considered it a day to celebrate ever since! 11. What advice would you give your 16 year old self? I would encourage myself to try to develop a wide range of interests and not just focus on a career path. As a writer now, I regret not having taken college electives in some other subjects besides mostly nursing and science. It is sometimes difficult to know if a blog fits the Liebster criteria, so if any of these do not, I hope their authors will just take it as a compliment that I have enjoyed their blogs! 1. What writing and internet experience did you have before you began your blog? 2. What is the most challenging part of blogging for you? 6. How would you describe the decor of your home? 7. Who is your favorite movie or tv actor? 8. What is your oldest memory, and how old were you at that time? 9. What if your favorite way to relax? 10. If you won the lottery, what would you do? Many thanks again to Lana of Two Teens and Their Mama for nominating me, and congratulations to all of the bloggers above. I hope my readers will click on their links and explore their blogs as well as my own. The cover of one of my notepads suggests ways we should live more and live less. Inspired by this message (on Friday, March 28th, 2014), I wrote a post about "Words to Live By." I have decided to make weekly updates to this post, until I start repeating myself! I promise each weekly update will contain more information than just the five new phrases though! Swim more. Belly up less. Be brave more. Fear less. Sleep more. Stay up late less. Eat healthy foods more. Eat junk food less. Wash hands more. Get sick less. Recycle more. Throw out less. Study more. Skip school less. Many thanks to any readers who take the time to comment. Have you ever wanted to wash some tiny items in the dishwasher,but were afraid they would end up lying on the bottom of the dishwasher because they are so small? I'm pretty sure you can buy a basket to place them in, but I don't own one. One day, when I wanted to "sterilize" a few little things in the dishwasher, I decided to improvise. I created a basket that worked so well, it is all I have used since. And the best news is that it was free. I used this homemade dishwasher basket to clean some small vials without them scattering through my dishwasher. Place items you wish to wash in the dishwasher in the bottom of one of the baskets. Invert the second basket and use it as a lid, stuffing it down into the bottom basket. This may necessitate crunching it a little, or even cutting apart one of the baskets a bit. Weave the metal ties loosely around two baskets, fastening them together. Twist the ends together where they meet to secure them. Just be sure there is not any large enough gaps for an item to fall out. Place this covered basket in the top rack. Poking one of the dishwasher "spokes" through the basket to help hold it in place. Run the dishwasher as usual. Unload dishwasher when done. unfasten and remove the twist ties; remove your items. If any items filled with water, drip dry upside down, or dry them with a towel. If desired, save your new dishwasher basket, and reuse as needed, by repeating the above steps. I just realized I may have fulfilled the promise I made in Tuesday's post (4/22/14) to come up with a repurposed and recycled craft. I actually even made this before I knew about the challenge Elle issued on her All Around the Circle blog! I guess it is maybe more of a project than a craft - but hopefully that's ok! Have you ever made a craft from recycled materials? Watching my parents greet each other, after my dad had a successful and uneventful surgery today, was a wonderful way to spend a moment! Months of pain, and anxiety over the complexity of the surgery (a surgical revision of a previous hip replacement), dissolved in relief. My parents have "made the most of every moment" of their 56 years together, and it is heartwarming to know that this surgery will offer an opportunity to resume an active life together. I will be with my parents throughout the coming week, and unfortunately Internet access is limited in the hospital. Although I hope to keep up with blogging, if I miss a day or two, I am apologizing now! I can't believe this is my fifth week of writing this post! The moments are really flying by! 1. Today is Earth Day! I was reminded of this in a post by Elle, on her blog All Around The Circle. She provided some interesting information about Earth Day, and even a link to an Earth Day button to purchase. I like the message on the button: "EARTH DAY, EVERY DAY." Start an Earth friendly habit today (such as turning out the lights when you are the last to leave a room), and be mindful of that habit every day. I think I will take Elle's challenge, and try to come up with an upcycled, repurposed, or recycled craft ... it might even be the subject of a future blog post! 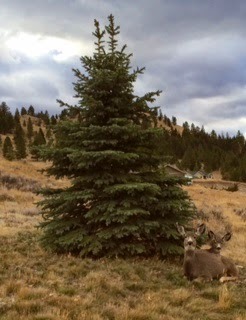 Deer enjoying one of the trees we planted. 2. Plant a tree. These few moments of labor (or even hiring someone else to plant it for you) will have long-term results! I can't believe how big the trees we planted around our house just over a decade ago have gotten. They add beauty, a home for birds and wildlife, and shade. Check with your local nursery about best times to plant and the most optimal trees to grow in your area. An Inconvenient Truth by Al Gore. Whether you are in agreement or a skeptic of climate change, before you form an opinion, this is a book to read. March of the Penguins - I can't decide if the scenery or the penguins are the biggest star of this National Geographic movie. Erin Brockovich - This movie was based on true environmental legal issues, and had me on the edge of my seat. 5. Use a refillable water bottle. It only takes a minute to fill up, and every time you do so there is one less piece of plastic waste on Earth. 6. Use public transportation, or carpool when you can. 7. Get out and see the world! The more beautiful places I visit, the more I realize just how precious our one and only Earth is! Everywhere I go, if I pay attention to my surroundings, I am reminded that EVERY DAY should be Earth day. Our Earth is such a beautiful place!! 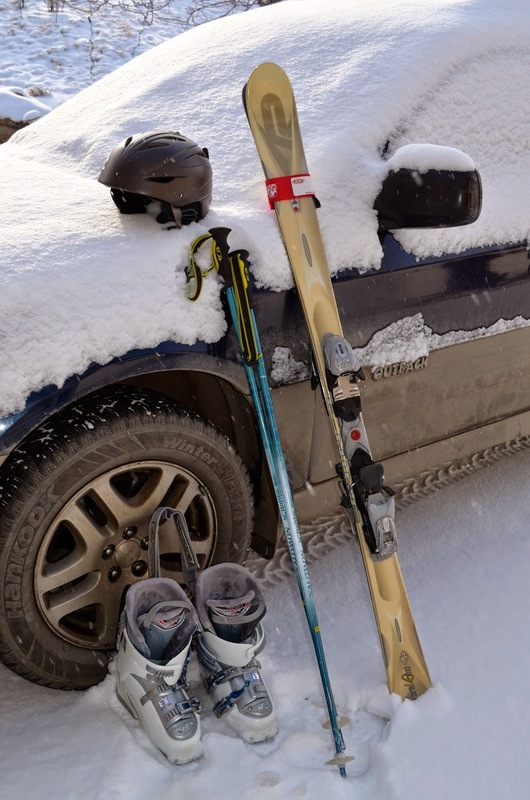 It was fun to ski the last day of the season - in 50º weather, under sunshine and blue skies! I hope all of my readers had a beautiful day too! Make the most of all of your moments! Are you still trying to come up with an idea for dessert for Easter Dinner? My “Spring fruit pie” isn't hard to make, and everyone loves it. You can even take a shortcut, and use refrigerated pie crust, so it can easily be ready for tomorrow! Easter cookie cutters can be used to make cut-outs in the top crust to make this pie even more seasonal! The original recipe was submitted by Ms. Carol Crawford to the National Grange Bicentennial Year Cookbook. My Grandmother gave me this cookbook, and it has been well used - so much so that the binding is badly in need of repair! This pie is delicious when made according to the original recipe, but I have made a number of modifications of my own. Pre-heat over to 425 degrees F.
Line a deep pie dish with pastry. Wash fruit and slice as directed above. Combine strawberries, rhubarb, blueberries, pineapple, lemon juice, sugar, minute tapioca and salt. Pour mixture into pie crust in pan. Use small cookie cutters to cut a few shapes out of top crust before laying it on top of pie. Set cut out pieces aside. Cover with top crust, seal pastry edges together. Cut several slits in top crust and lay cut out pieces of pie dough decoratively on intact areas of crust. Brush top of pie crust lightly with a little of the egg white/ water mixture. This will give crust a lovely shine. Bake pie in pre-heated oven on middle rack, for 40 - 45 minutes or until done. It may be necessary to cover edges with foil part way through cooking to prevent them from getting too brown. This pie is a wonderful dessert, especially when served with a good vanilla ice cream! Crawford, Carol. ""Spring Fruit Pie" " National Grange Bicentennial Year Cookbook. Montgomery, AL: Favorite Recipes, [c.1976]. 217. Print. * In the report "Executive Summary: Report on Truancy and Dropout Prevention" published by the American Bar Association, it was stated: "Truancy has been clearly identified as an early warning sign for potential substance abuse, delinquency, teen pregnancy, and dropping out of school." While missing the occasional class for illness or even a family vacation is unlikely to lead to these behaviors, it does seem important for more than just academic reasons for kids to be committed to attending school regularly! Once again, inspiration for my topic today has come from Facebook. My daughter shared the following video on Facebook yesterday, with a note telling me that she loves me and that I am "literally the best." Of course I got teary-eyed. Watch the video from American Greetings, and you just might too. This post is for anyone who is a mom - or has ever had a mother. Thanks Mom - for everything. Feel free to share this message with your mom too - now, or perhaps as a gift on Mother's Day! What is the toughest job you have ever had? Lana (Two Teens and Their Mama) agreed that a book should always be read before the movie. 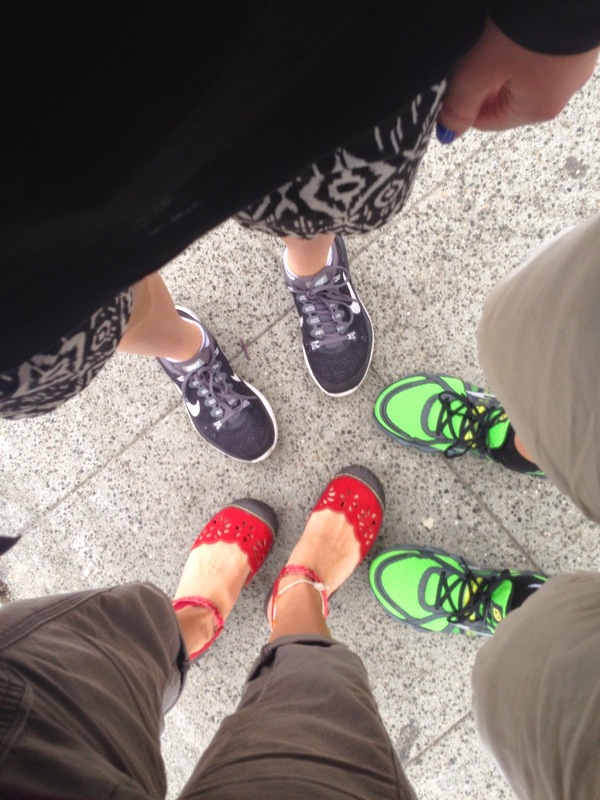 I have really enjoyed reading all three of their blogs - and you might too! 2. Make coffee and have it ready for your spouse or roommate when he/she gets up. I am spoiled - my husband does this almost every morning. On weekends, he even makes lattes! I am grateful! Best way to start my day! 3. Remember to regularly change the oil in your car. I just had mine done yesterday! 4. Make a new recipe. I just tried this recipe, from Catherine Newman on Disneyfamily.com and if you like German Chocolate Cake, I think you will love these German Chocolate Cookies. We do! These turned out well, don't you think? Good thing there were a few left for me to take this photo today! 5. Next time you are caught out in the rain, remember how that moisture makes flowers grow and reduces the risk of forest fires. 6. Need a good book? Hotel on the Corner of Bitter and Sweet by Jamie Ford is one of my favorites. It is a novel, but gives some insight into the Japanese Internment in Seattle. I am on my library's waiting list to borrow Songs of Willow Frost, his second novel. I can't wait to read it - and will let you know what I think! For a minute I thought the book Hotel on the Corner of Bitter and Sweet had been made into a movie - until I realized the YouTube movie trailer I watched is for a movie that doesn't exist! None-the-less, the beautiful music and slide show makes this trailer is worth seeing, and it will give you a hint to the plot of the book. 7. How about a movie? We just watched the movie About Time, and I thought it was great! The three topics in this post may not seem related, but I think you'll agree that they really are, once you have read this. Being able to open the windows and let fresh air and sunshine stream in, seems to put people in the mood to “spring clean,” especially after a long, dark winter. Along with doing some neglected deep cleaning, I am hoping to purge our home of some accumulated but unnecessary possessions this spring! In a Declutter Challenge project called “40 bags in 40 days,” participants attempt to remove 40 trash bags full of unnecessary stuff from their homes over a 40 day period. I first found out about this from a blog called White House Black Shutters. That blogger (Ann Marie) gave credit to the blog Clover Lane, as the place she first heard of this challenge. I have been unable to discover its actual origin, but this project is often associated with the 40 days of Lent. It is an idea that has been in practice for a while; I found a post about it on the blog Simply Catholic, dating back to 2008. One bag a day would really add up - and seems a lot easier to manage than my typical, unrealistic philosophy of “I’m going to declutter the whole house this weekend.” Lent is almost over, but this project is applicable any time of year. I’m in! But wait - not so fast! I'm going to be ruthless but cautious, when deciding what to discard! Many possessions can bog us down, and it is frequently advised that getting rid of items can have a liberating emotional affect. Too much stuff is too much! This is true, but my advice is be careful not to get too carried away. Evaluate each item, for both its usefulness and sentimental value. If it has both, and you have room to store it - it may be a good idea to keep it. This applies to most things, including childhood artwork. Be sure, however, that if you are keeping an item for sentimental reasons, the sentiment associated with it is a positive one! I was given five beautiful hollow eggs as a graduation gift, hand painted by my friend. Somewhere along the way, two of them became partially crushed. I continued to save those anyway for years, and buried the crushed ends out of sight in the straw when I displayed them at Easter. One year, though, I realized that the guilt over not taking better care of them was weighing me down, and I threw the damaged ones away. The value of the gift has not diminished - I still have three beautiful eggs as a reminder of that friendship - but none of the guilt. Possessions should not make us feel guilty or unhappy! Useful? Is it something you could decorate with, learn from or teach with, pass on to a future generation? Does it have a use? Sentimental? Probably all of your children's artwork is of sentimental value but which pieces evoke the strongest memory or emotion? Room to store it? Decide what would be a reasonable amount of space to devote to storing artwork, and decide if you want this item to take up some of that space. Could you save just a photo of this project, and be just as happy? Do you already have another similar piece, and is one enough? Once you answer these questions, you will have a pretty good idea of what you should keep. For years, long after artistic abilities improved, I have decorated using some of the art my children made when they were small. I treasure the elementary school ceramics that grace the mantle in our living room. My laundry room (where I spend a lot of time!) is a cheerful art gallery of grade school projects. I packed away favorite seasonal school projects in the appropriate boxes of holiday decorations, and we enjoy displaying them during Easter, Halloween, Thanksgiving and Christmas each year. Luckily, my children had the same teacher for 2nd grade, so I have one of these pretty eggs made by each of them! Holiday decorations need not be expensive or take a lot of room to store, especially if you use and reuse items you already have. In addition to my kids projects from the past, I often look around my house to see what I already own that might be useful. For instance, without buying a thing, I created a bird feeder, to use as a Christmas decoration and Valentine's Day Decoration, with only minor alterations. (Click on these links for instructions* on how I made the feeder and modified it.) The egg “tree” pictured near the beginning of this post was decorated with Christmas lights and holly sprigs in December. 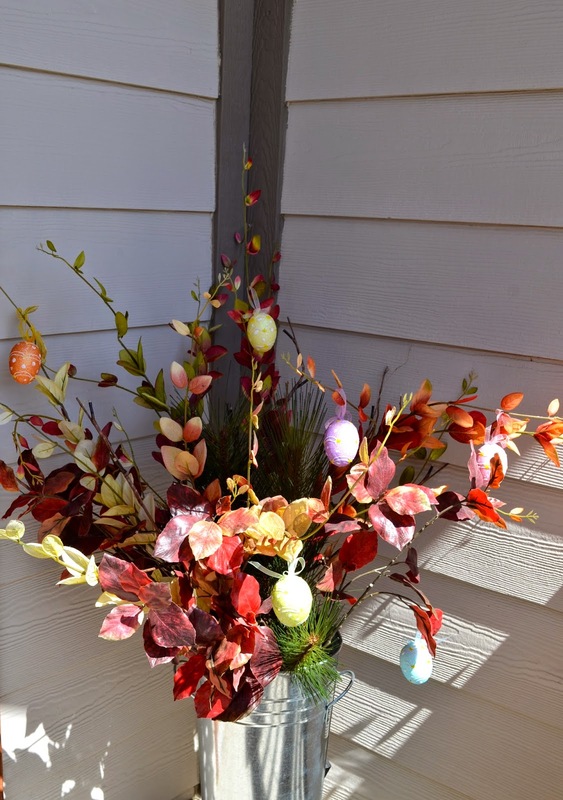 Our marble collection was the perfect filler for the "lollipop bouquets " I've been using as an Easter centerpiece. Sunshine, plants beginning to grow on the South side of our house, and a slight tinge of green in the grass (uncovered when the snow melted yesterday), made me decide to take a few of these photos outdoors today - even though the decorations pictured are usually inside! I love the idea of cutting down on clutter, but carefully consider what you are discarding as you put it into one of your 40 trash bags! What is taking up unnecessary space in your home? Have you ever thrown out or given away something that you later regretted? A word of gratitude to my mother-in-law, who over the years has provided us with many holiday decorations, such as the ceramic bunny basket and Easter figurines in these photos! *10/4/14 NOTE: The links to the articles mentioned do not currently work, as the site they was published on is no longer in existence. I apologize for this inconvenience, and if they are republished, I will update the links. Updated: 11/11/2015 Here is a link to the republished instructions: An Easy Christmas Gift - for the Birds!